The desired floor plan that appeals to all. Difficult to find 1.5 story home situated on corner lot-Eastern face for early morning sun, Southern face side load three car garage complete with workshop space, solid storage shelving, hot/cold water, and drains to assist with a clean winters floor. 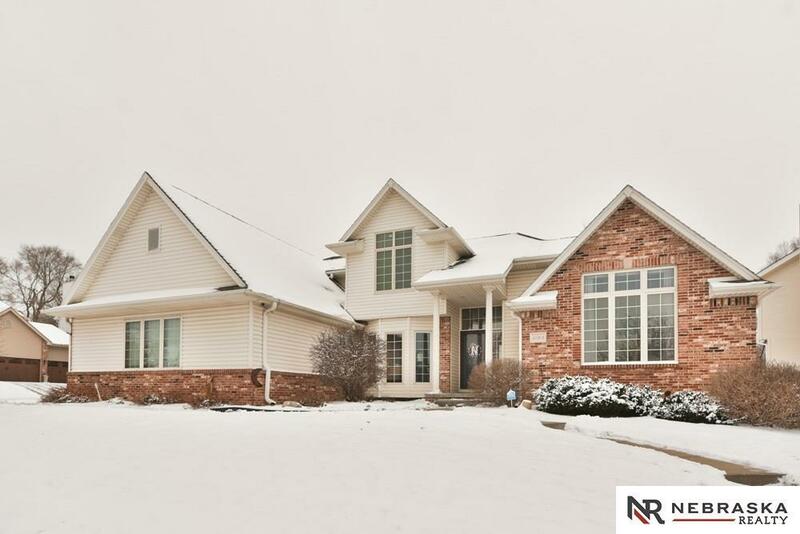 Gathering kitchen boasting solid surfaces, vaulted ceilings, closet pantry, center island, eat in area, and double sided fireplace connecting to 10'+ ceiling living room featuring new carpeting, newly built custom cupboard and mantle. Roomy main floor master displaying new carpeting vaulted ceilings, walk in closet, double vanity, shower and jet tub. Second floor contains three bedrooms all new carpeting and two with walk in closets, a full bath rounds out this floor. Lower level is ideal for game room, workout area, office and fifth bedroom(egress). Also contains wet bar with solid surface counters, three quarter bath, and immense storage room. Quality built. Desired Millard schools. Call now!